Jumping into the week right after a trip is CRAZY. I managed to have clothes clean, but no menu or grocery shopping was done! My husband graciously offered to pick up some protein to go with potatoes and veggies I already had in the house, and I went in search of an easy, yummy recipe to use with the boneless pork chops he brought home. Modified the one I found and it was a HIT! - In a shallow bowl or pan combine brown sugar, cayenne, garlic powder, paprika, salt, and pepper. - Dredge pork in seasoning mixture (patting it in for good measure). Don't dry the pork before doing this, the moisture from the meat helps the seasoning stick. - Heat approximately 3T olive oil in a large skillet and add the pork when the oil is heated. Brown the pork on each side (approximately 5 minutes per side). - Bake for 5-10 minutes (depending on the thickness of your chops). If you have a meat thermometer the pork should be at 145F (or you can just wing it like I did). I cut the leftovers up and used it in a stir fry the next night - YUM! 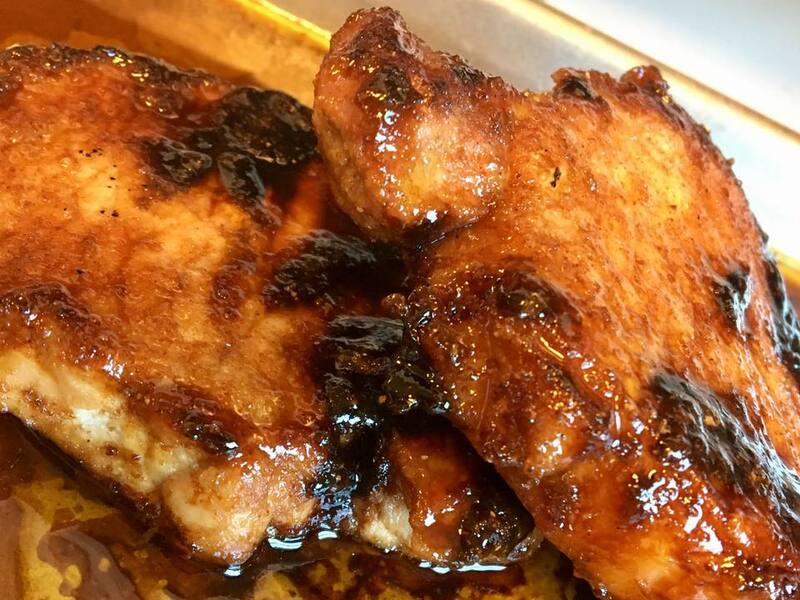 Thank you so much for sharing the recipe of Easy Glazed Boneless Pork Chops. I was looking for this recipe since quite long. Boneless pork chops are my very own favorite.